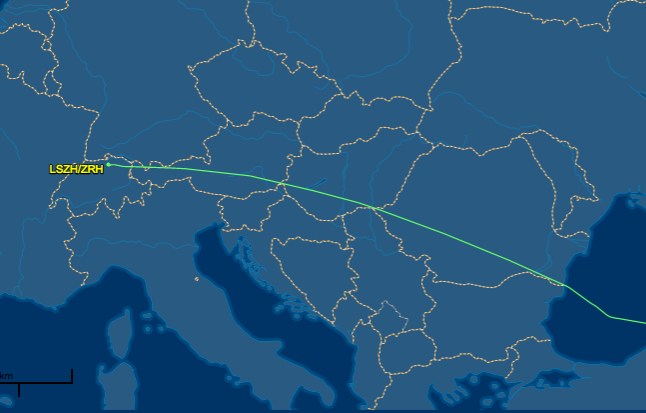 Trajectory of Flight 146, Zurich to New Delhi, on a flight tracking site. Flight 146 from Zurich to New Delhi is late taking off today, later than it's been over the past week. 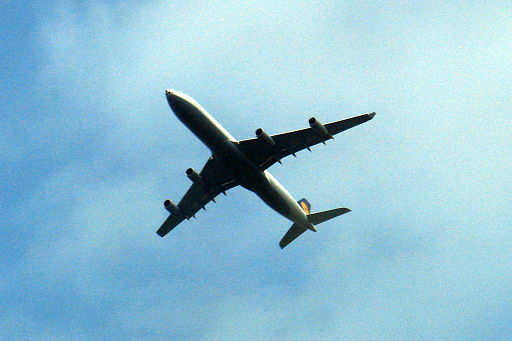 Normally I wouldn't care whether the long-haul A333 is a few minutes late, but this one carries my daughter freshly off her college degree, towards New Delhi for a month of backpacking through northern India with her boyfriend. I'm doing what I do when someone I care about is taking a flight, it doesn't matter the distance: I go to a flight tracking web site, enter the flight number, and click to watch the little virtual airplane icon nose its way from start to finish. It serves the questionable purpose of reassuring me that all is well, and provides a visual distraction from garden variety maternal worry. My mother didn't have the luxury of tracking my whereabouts when I made my first major solo trip back in the 1980s, also directly after college. She told me to keep in touch during the planned three months of my European tour. Back then, that meant postcards and reverse-charged calls from phone booths in post offices or the occasional American Express desk. It was a nuisance which required waiting in line, and I didn't do it very often. After all, I was 22 and a responsible adult. 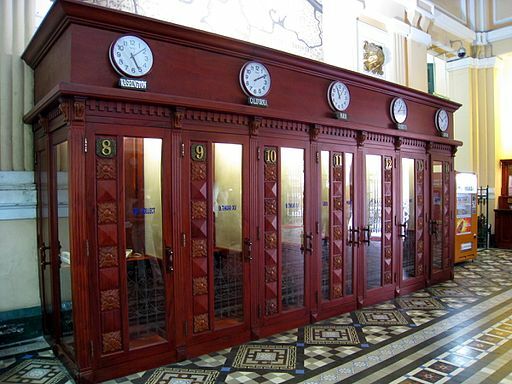 Old school private phone booths in the central Saigon Post Office, much fancier than most I ever used in Europe. Image: Wikimedia. My mother had grown used to me being gone from home and on my own while I was at college, and during the parts of my youth when I lived with my father. She professed to believe that worrying never changed a thing. These days, I wish I could say I inherited her professed insouciance. I've spent the last few weeks checking online advice boards for female travelers in India, ordering travel accessories like portable wash lines and microfiber towels, pestering about paperwork, making a nervous hen of myself, all from the distance of home to college. 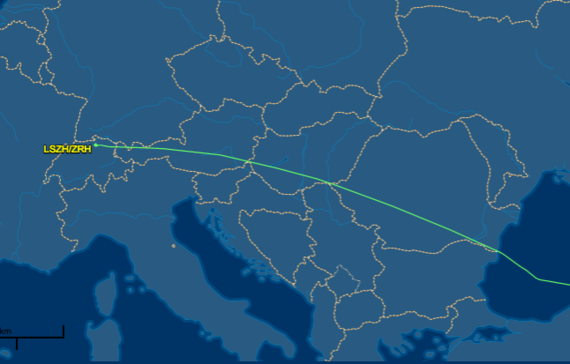 Oh, look, the little plane carrying my kid has taken off and flown right out of the map window, it's already half-way across Austria, trailing a fine green line behind like a hand-drawn vapor trail. Seven hours to go. I can't remember what inspired me to do a tour of Europe when I graduated from college back in 1984. I thought it was just what people did. Finish college, do the Grand Tour thing. I had what is politely referred to as a shoestring budget, meaning a very short stack of traveller's checks and not much else in my impractical and borrowed duffel bag. No credit cards for recent grads back then. This meant I stayed with friends as much as possible -- explaining why the trip started in Germany, where I had lived for a year as a teenager. For the first four weeks, I was staying with people who had phones, and I could just call and reverse the charges. My mom was always cheerful, asked after my friends, got a rundown of my minor adventures, and that was about it. My mom went on vacations to resorts in Jamaica, the Cayman Islands, Mexico; what I was doing was real traveling. I felt every inch the intrepid traveller with my meagre funds, Interrail pass and inconvenient luggage. I doubt I asked much about her days. I told my stories with the snobbery of youth. Flight 146 is making good headway, almost across Romania by now, almost at the Black Sea. Six hours, 12 minutes left. Our kid was born in Germany. She grew up in France and studied in England. She's her own Grand Tour. She's been through much of Europe on family trips; she spent a few weeks over summer last year exploring Eastern Europe. Sure, I worried, but she was never more than a few hours drive by car if something went wrong. Not that I thought it would. She's 21, responsible, level-headed. She texted us at one point from Budapest and sent images of a main train station overflowing with travelers of a different kind: thousands of refugees. She was on her way to Vienna that day. She bought food for some of the refugees, hopped on a train with her pre-purchased ticket and European passport, and just missed the closing of the train station itself. There are events so strange and sudden that they don't even bear fretting about. And there's the kind of luck that comes with having the right papers at the right time. It never occurred to me that my mother might be worried about me as I moved by train and occasional free ride from Germany through Austria and Italy. I had a few bad encounters in Rome, mostly of the groping kind. Nothing I mentioned because in the end, I emerged angry but unscathed. A girlfriend from back home met up with me in Florence, so I wasn't traveling solo. The groping events prompted us to leave Italy and head for Greece instead. We informed our respective mothers, both of whom just said to let them know when we arrived in Athens, which we planned to do within a week. We spent a harrowing night in a hostel in Bari, the hallways filled with rowdy men who banged on our door, the beds too filthy for sleep in any case, before taking a ferry to Corfu. 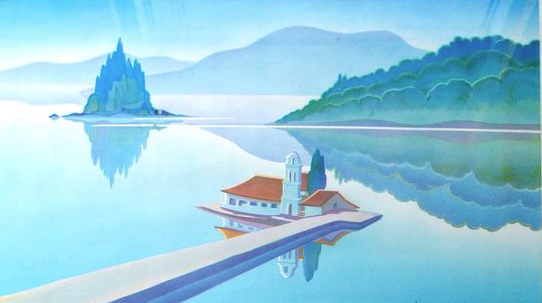 From a vintage postcard of Corfu. We fell in love with the island of cobblestone streets, white beaches and blue seas. We found guest beds with a nice family for two dollars a night, rented a single scooter and spent a week instead of the planned two days, so taken with the scenery that we outlasted our budget. My friend sent her mother a telegram: Send some cash, please, to the American Express in Athens. We got on a ferry. I don't remember why I didn't call my mother from Corfu. I probably wanted to get back on the scooter and head to a beach. Hey, what's that? The online flight tracker shows that Flight 146 has made a sharp turn over the Black Sea near the coast of Georgia? The green line has done a serious zag. My heart goes into my stomach. It's flying the wrong way, into northern Turkey. Hijacked? Some kind of storm? I scroll through the week's past flights -- none of them have done this. I refresh today's page and the tiny plane is back on track, drawing its green line through central Georgia, skirting the northern border of Armenia. 37,000 feet altitude, four hours, six minutes remaining. Relief as my heart makes its way back up to where it belongs. Was it always in my nature to worry? I don't think so. I remember feeling anxious about money, jobs, or grades, or relationships. But before parenthood, my worries were of the vague, global variety. The kind of things that perturb activist souls. The Ozone Hole. The Cold War. Overpopulation. Travel was not a source of concern, it was a happy compulsion. When we arrived in Athens, we headed straight for American Express in hope of finding a cash wire. Instead, there was a telegram: 'Not cardholder. Call home.' We'd have to wait another day before we could afford to eat more than bread rolls. Since we were there anyway, I called my mother. It must have been shortly before dawn back in Virginia, where she was awaiting a kidney transplant -- an operation she told me not to worry about because of course it would be successful. I took her at her word. 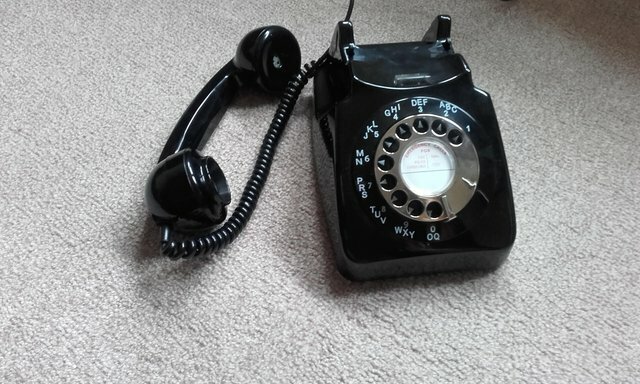 The operator asked whether my mother would accept the charges, she said yes, and then I could hear her holding back tears. She had already dug out a couple of photos of me, recent headshots, and had called her travel agent to book a flight to Athens. If she hadn't heard from me in two more days, she would have been on a plane for her first non-vacation international journey. "What were you planning on doing when you got here, Mom?" I knew she looked and acted healthy, but she was on regular dialysis treatment. "Go up and down the country saying, 'have you seen this girl' until I found someone who had seen you. Then bring you home." She was laughing now at the absurdity, the impossibility of the idea. I was fine. Aside from being a terrible daughter, I was fine. She was the one we should have been worrying about, not me. Not that it would have changed anything. Becoming a person of worry has been a journey paved with watching a child grow and face the kind of dangers that I could help avert. At least sometimes. Softening the transition to a new school, holding hands while crossing the street, talking about drugs, discussing birth control. It's an unexpected journey each time. I know worrying doesn't do much good on the ground where it counts, but unlike the steady green line of where that little plane has been, for twenty-one years my vapor trail of worry has been out ahead of me, going in all different directions, plotting a multitude of potential courses. Flight 146 is over Pakistan now. Two more hours until the plane lands safely in New Delhi and I can stop refreshing the flight tracker page. Then it's only another four weeks of not worrying. Not worrying at all. Gone is the detritus of your children's lives scattered here and there, carelessly flung about and forgotten. Your bathroom towels will stay hung neatly on their bars, the dishes are placed in the dishwasher instead of left to sit next to the sink. Beds remain made, floors remain clean, clothes are neatly put away. Mystery spills vanish, and you never wake up to a mess. Who knew it could be like this?